The school aims to initiate and promote experimentations and innovations in education in collaboration with other bodies like CBSE, NCERT, etc. Announcements for admissions are made through the school website and an advertisement in a leading daily. Prospective parents are advised to visit the school website for the same. Students are admitted through the year depending on the vacancies arising in a given class. • Spacious, well ventilated classrooms in prescribed dimensions. • Fully equipped laboratories with ample space. • Library with huge and rare collection of books. • Spacious and exclusive Play Fields for different games. 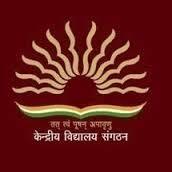 Are you Interested in Kendriya Vidyalaya, Mankhurd.